This is my personal web page. For the official page, please try Informatics Institute staff pages. here is a 1-page summary of you know what. I am the designer and developer of CCGlab, a tool for writing CCG grammars and models. My full-time work is at the Cognitive Science Department of the Informatics Institute at METU. I will sometimes teach Computer Science courses at Computer Engineering, METU. I was a visiting scientist at Bogazici University, Cognitive Science, for Winter-Spring 2011. I was a visiting scientist at School of Informatics, Univ. Edinburgh, 2002-2004. 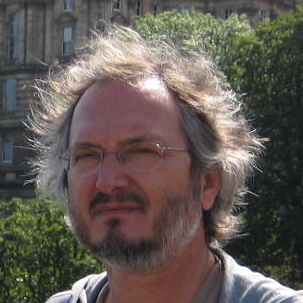 I am an external collaborator with Edinburgh University, Institute for Language, Cognition and Computation, for 2003-2017. I am part of the GRAMPLUS project at Edinburgh University. I am part of the eyeMind project (more soon). I was a visiting member of Center for Linguistics at University of Lisbon, 2015-2016. I am the chair of the Cognitive Science Department here. RIP: Nicholas Viktor Findler 1930-2013. My phd advisor, from ASU.